Chabad of Bedford was founded to provide every Jew regardless of background or degree of commitment, the opportunity to discover the relevance, joy and meaning in our shared heritage. 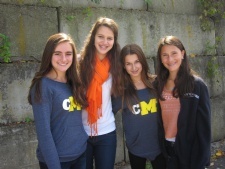 Chabad programs and events all take place in a warm, welcoming and non-judgmental environment. 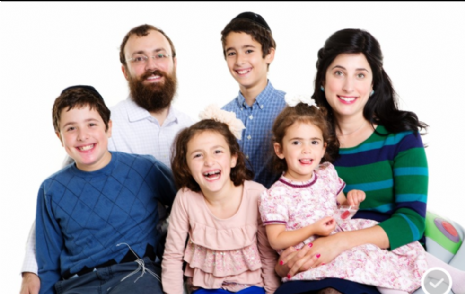 Rabbi Arik, Sara and their four children live in Katonah, NY. The Wolf children's favorite time of the week is Friday night when the house is full of Shabbat guests. They are actively involved in their parents’ community work and can always be seen helping and leading events. From weekly parsha plays in Shul to actively leading the junior congregation, they are clearly thriving, thanks to the Jewish community in Bedford. Rabbi Arik, Sara, Mendel, Zalman, Perry and Shaina, look forward to welcoming you at Chabad of Bedford for many happy occasions! RELEVANCE – Judaism and its values and traditions are as relevant today as ever and enrich our lives and the lives of our families with a sense of purpose and direction. At Chabad we present Judaism in this light, so that it sheds relevant perspective on our daily lives. IDENTITY – Jewish history and tradition aren’t just powerful and relevant ideas, but they are our story and our heritage. At Chabad we work to make Judaism a part of the personal narrative of each individual. JOY - Living right is an intense experience, but doing so with joy makes the experience an even more enriching one. At Chabad, we focus on the joy of Judaism and in the happiness and delight living as a Jew gives us. RELATIONSHIPS - Life is enriched by the relationships we form. At Chabad, we deeply value a sense of community. We seek to foster genuine relationships amongst the adults and youth of our community. PERSONAL GROWTH AND DEVELOPMENT – Every healthy living organism must continue to grow, particularly spiritually. At Chabad we seek to create an environment that fosters and nurtures personal growth and development where questions and exploration are encouraged and embraced. We believe in the power of individual actions and mitzvahs independent of the context in which they are performed.